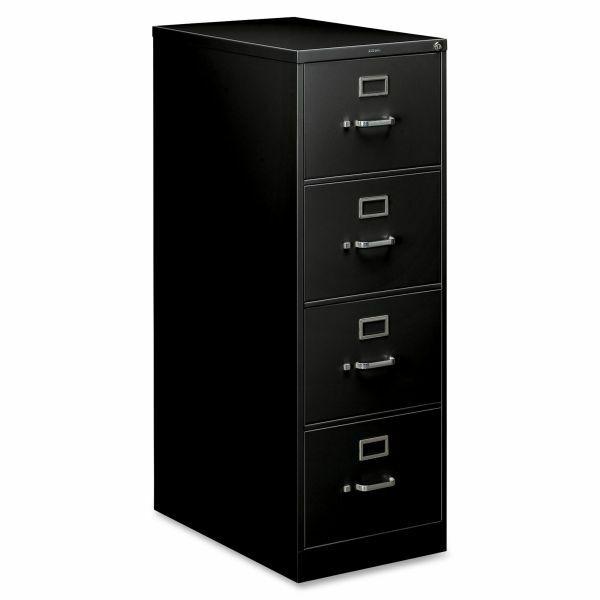 HON 210 Series 4-Drawer Vertical Metal File Cabinet, Legal, 52" Height, Full-Suspension, Black - HON built its first vertical file in 1952, and we've set the standard for quality ever since. 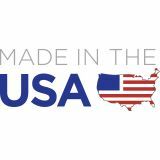 210 Series files have quality that's easy to observe, like our smooth telescoping ball-bearing drawer suspensions and baked enamel finish. Then there's quality we've tucked away where it can't be seen, such as six formed steel uprights that give the cabinet extra rigidity, and a double-walled steel kick plate that, well, the term speaks for itself. 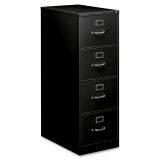 With great durability, many standard features and solid environmental performance, HON 210 Series vertical files have earned their place as America's record-holders.